52/48% cotton/polyester blend tee. 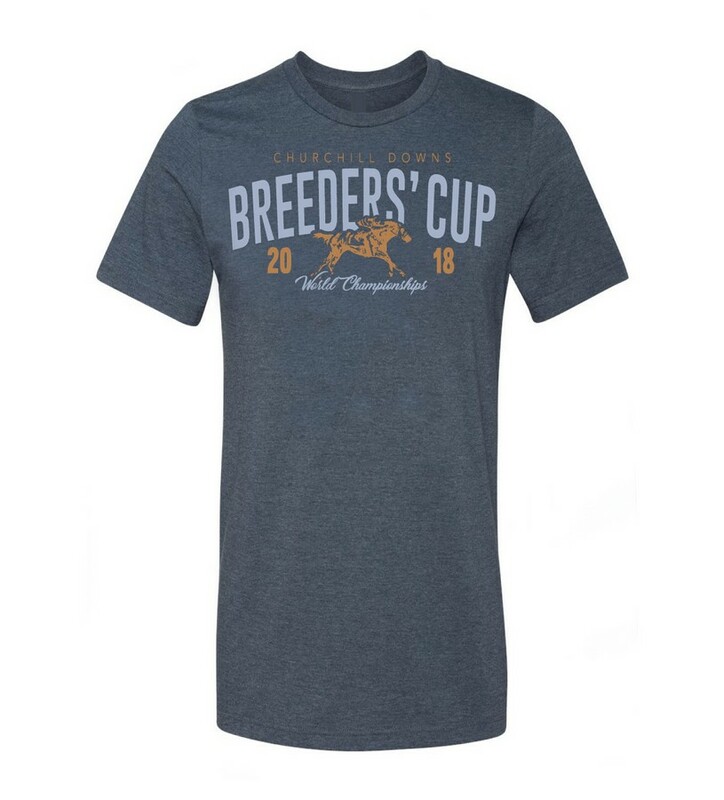 Printed with a racing horse Breeders' Cup 2018 design. Available in heather navy in unisex sizes S-XXL.